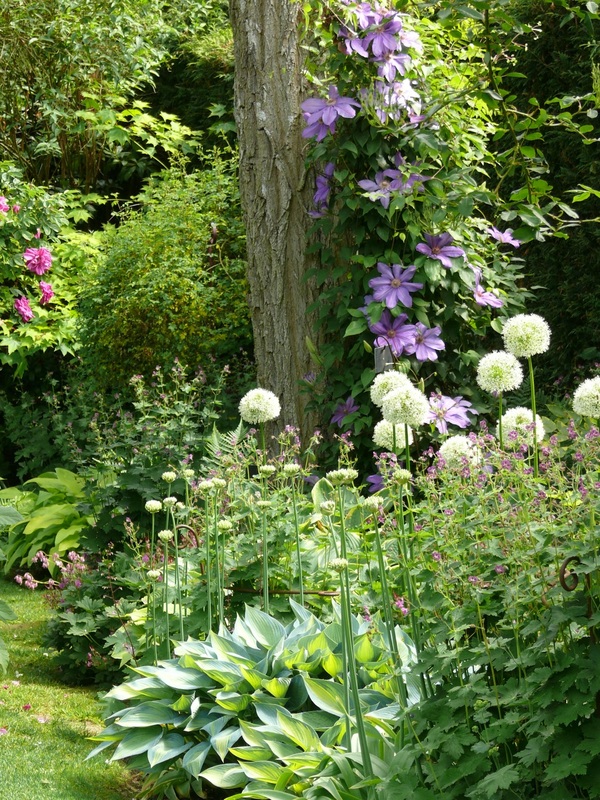 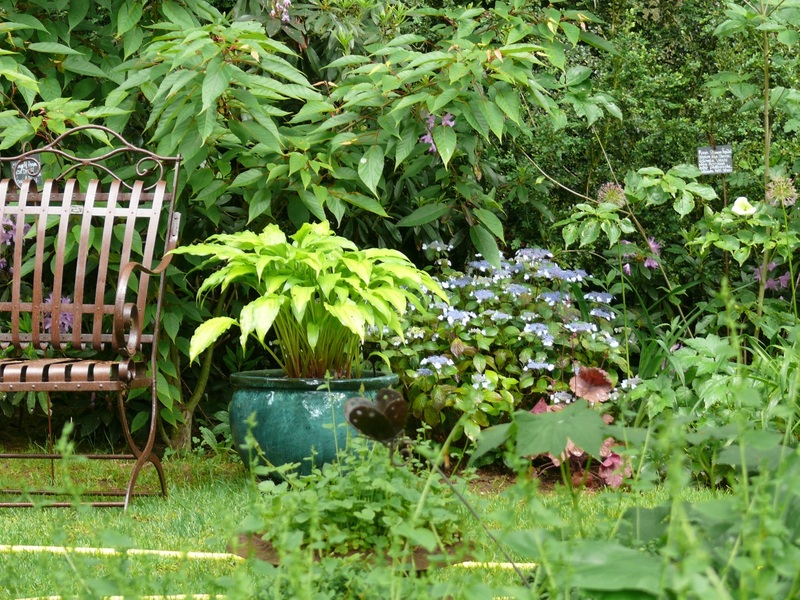 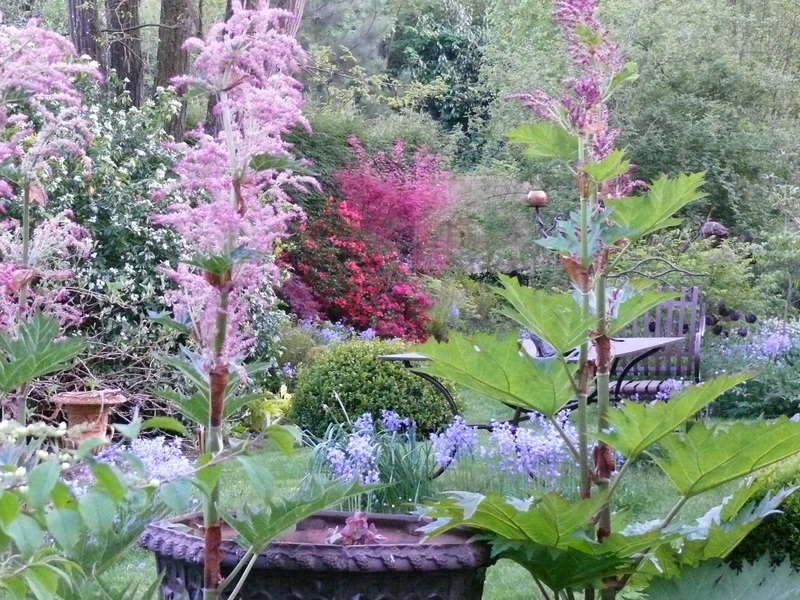 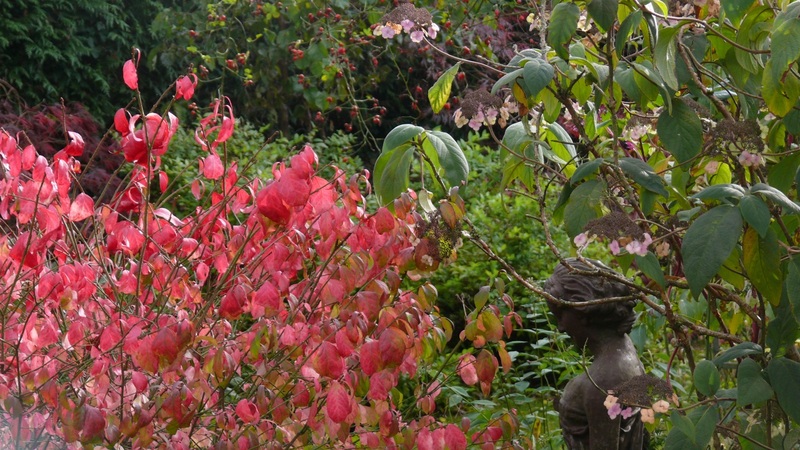 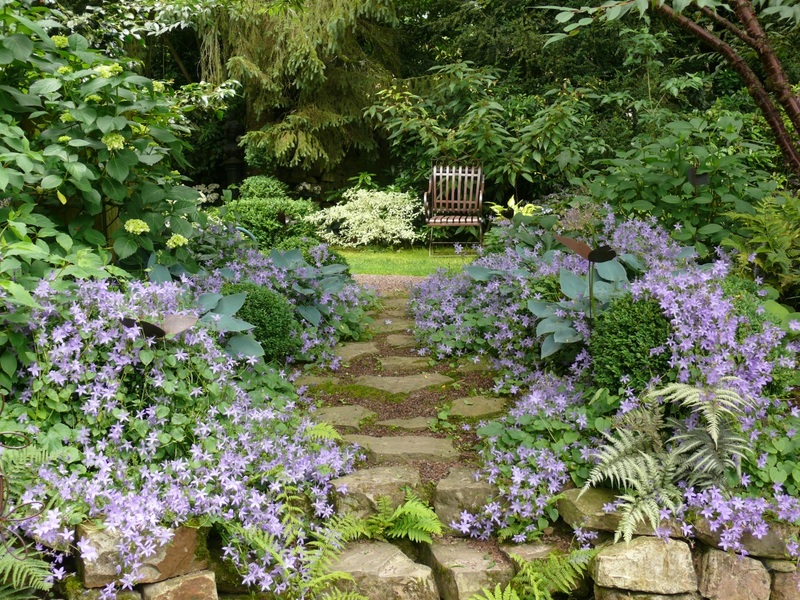 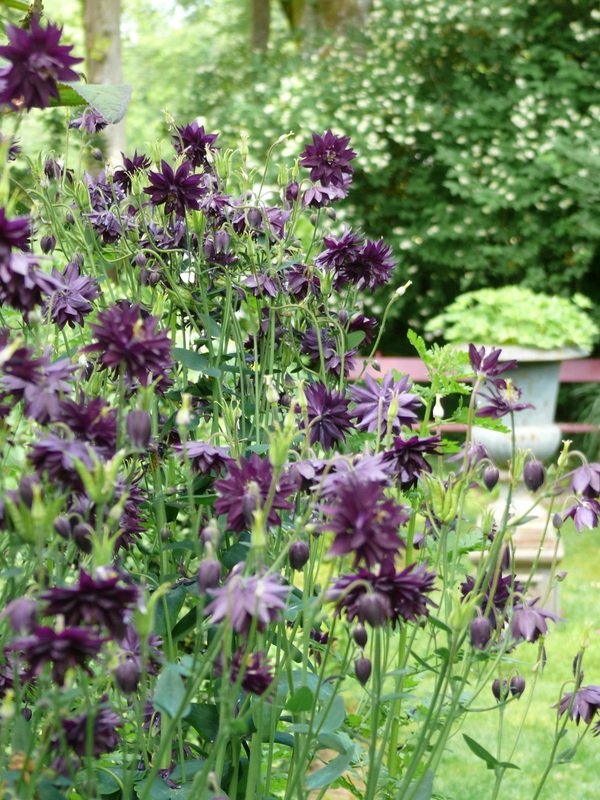 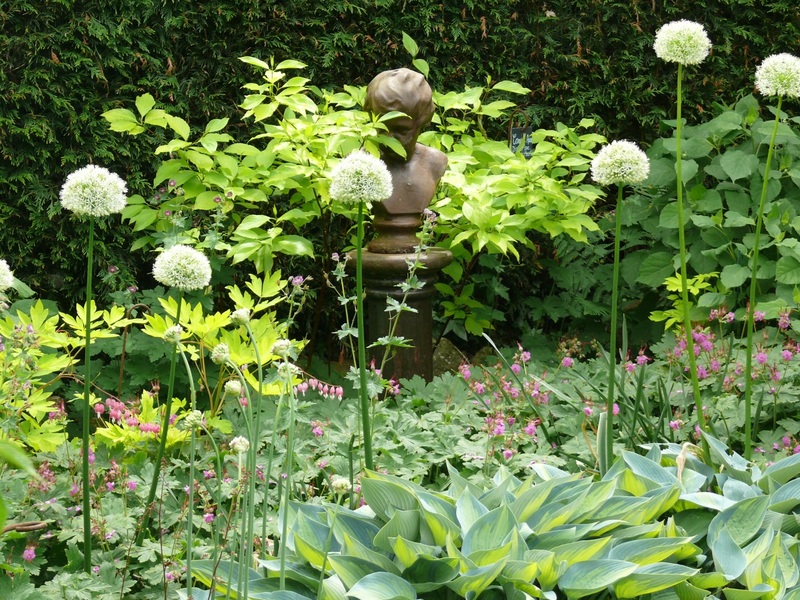 An opportunity to discover a magnificent part shade garden. 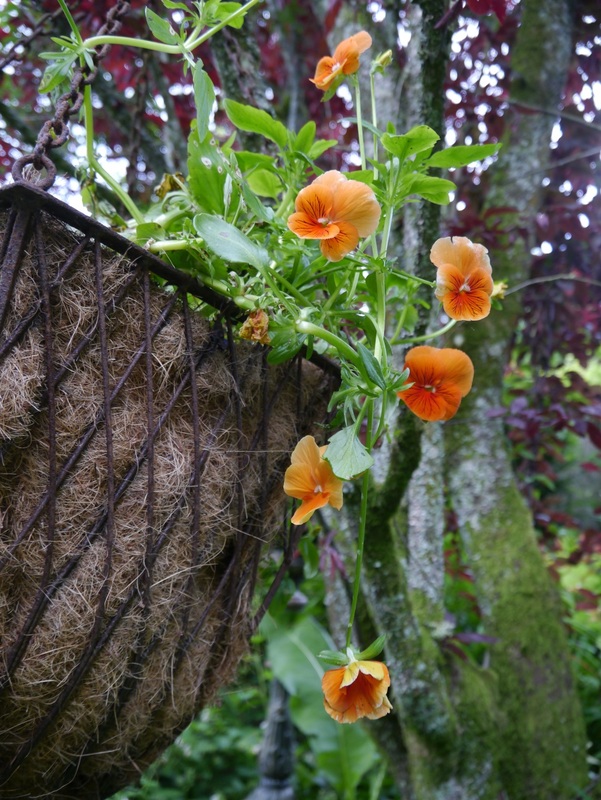 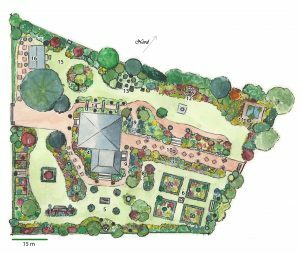 From April 13st to September 15st 2019, the Remote Garden opens its doors to all garden enthusiasts. 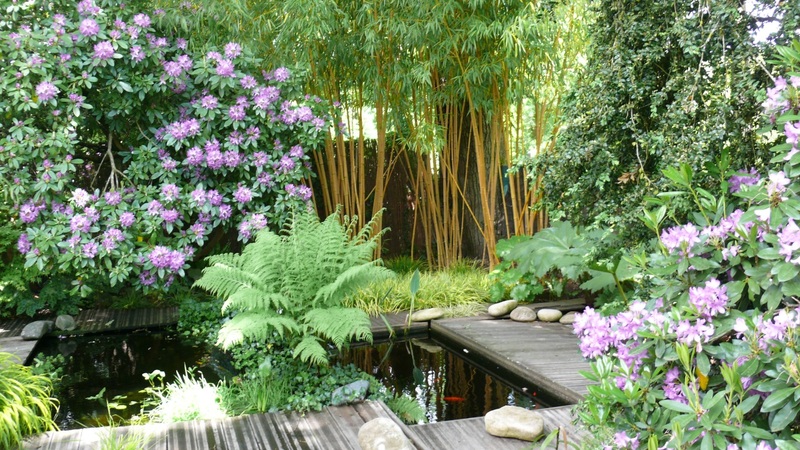 Located in Bagnoles de l’Orne, a health resort in the middle of the Andaine Forest, the Garden. 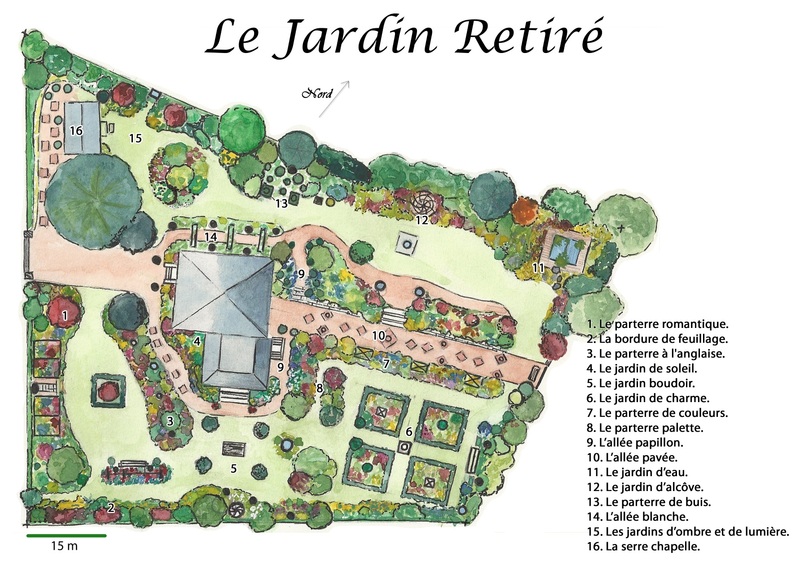 Born 20 years ago from the imagination of Annie and Laurent blanchais, put together through time and seasons, the Remote Garden is a refined and intimate place that spreads over 2500 m² (0,62 acres). 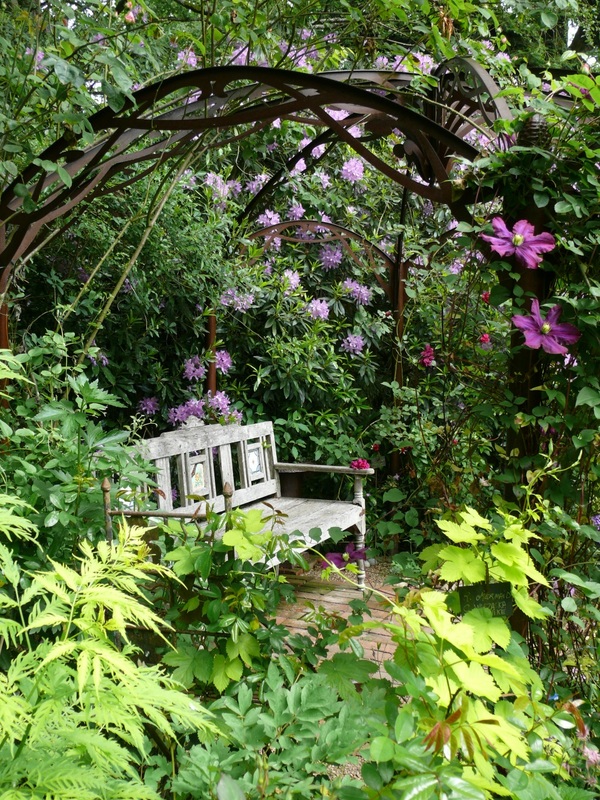 In this romantic setting surrounded by a belt of shrubs and centenary trees you can enjoy numerous species of roses as they come out from season to season, but also clematis, perennials – including astrantia but more particularly hostas for their rich foliage –, numerous geraniums, heuchera, countless box trees… The gardener always makes sure her roses find their best possible partners in the creation of sceneries that can be theatrical or rather intimate, romantic or wild. 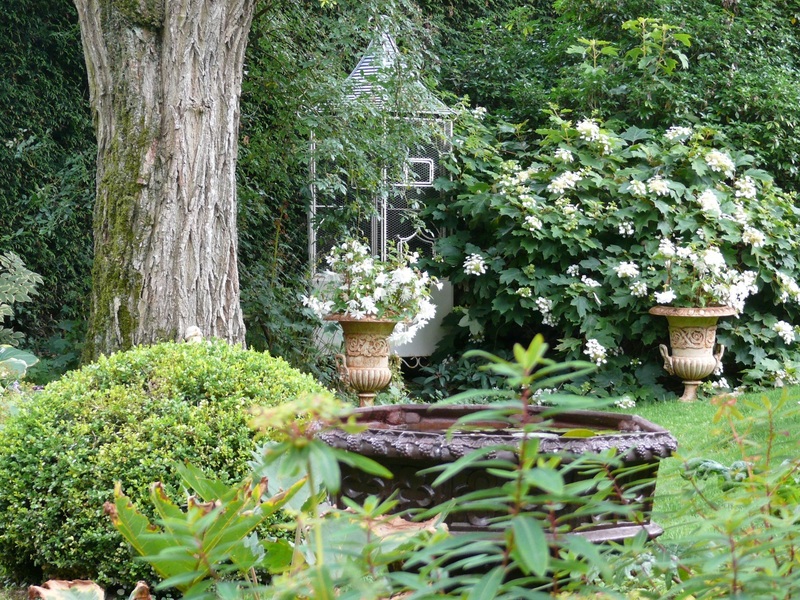 This romantic garden is also ornate with all sorts of decorative assets such as arches, fountains or statues that emphasize the natural poetry of the place. 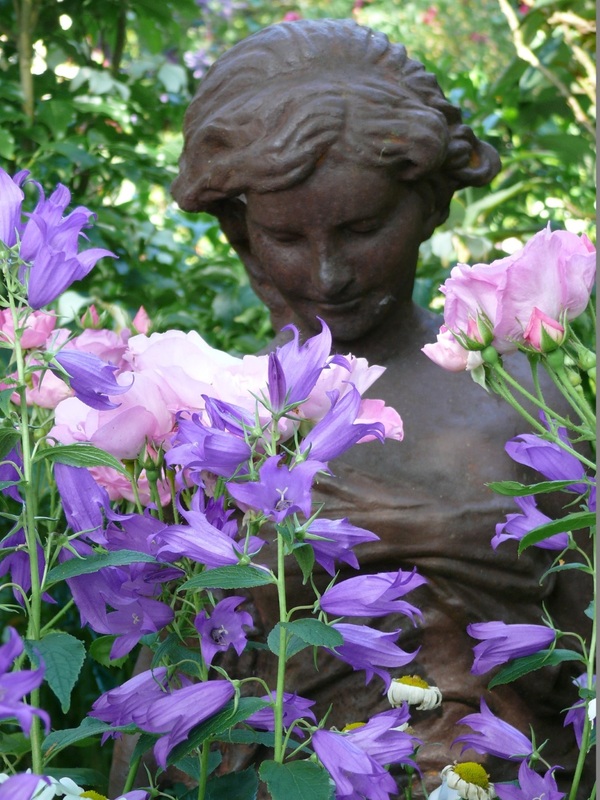 Before leaving the remote garden, be sure to come and find all sorts of garden ornaments and pots in the Greenhouse chapel shop.